Transform your property without hiring a contractor. 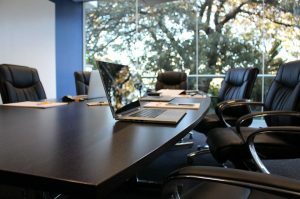 You’ll be surprised what a deep clean of your office can do for its atmosphere and overall appearance. Envy Cleaning Solutions makes it easy to maintain a high standard of cleanliness, no matter the size and shape of your place of business. Finding the right cleaner can be a pain, but we make it easy and affordable to have an effortlessly spotless office. Make your company a more welcoming and sanitary place to work with our help. Whether you’re ending a lease and need one big clean to get the place looking like new, or are looking to partner with an experienced team for regular, ongoing service, we’re the company for you. Getting the right commercial cleaning company can make a big difference. You need someone who does more than just wipes down the counters and empties the bins. With our team, you’re ensured that every nook and cranny of your property is cleaned and sanitised thoroughly. Having a cleaning staff who cares about the condition of your property can make a huge difference for the overall experience of your employees, helping to wow clients and guests and leaving them with a positive first impression. Put your best foot forward with help from Envy Cleaning Solutions. Let our business transform yours, showing you just how different your office could look with some professional attention. Whatever kind of property you own, work with a team who know how to get it looking its best. Learn a bit more about us and find out why home owners and businesses across Melbourne rely on us day in and day out. Whether you’re in the busy heart of Richmond, Docklands or live out in the suburbs of South Melbourne or Port Melbourne, we can come to you and deliver the same exceptional service. Get in touch today to learn about how we can help you. Call us today on 1300 201 341 or send a message via our contact page and we’ll be in touch as soon as possible.